Philosophy, Logics, Linguistics, and Metaphysics; Phenology and Mineralogy; the Natural Sciences and Zoology; Astronomy and Astrology; Herbology, Botany and the Temple Healers; Anatomy, Physiology and Medicine; Mathematics and Deduction; all, are Pagan Sciences. Today, where many bemoan a lack of continuity in Pagan tradition, there is (glaringly) a clear and unbroken line of influence from the Mesopotamian and Egyptian scientists and philosophers, to the ancient Greek and Hellenistic scientists and philosophers, to the medieval Muslim scientists and philosophers, to the European Renaissance and Enlightenment scientists and philosophers, to the secular sciences today. Great researchers and teachers such as Kidinnu, Pythagoras, Hipparchus, Lopamudra and Gargi, and Plato; from magnificent learning centers such as the City of Sumer, the City of Croton, the City of Alexandria, the Academy of Gondishapur, the Akademia of Athena, and more (to include man women), all stand as testament to the Pagan Foundations upon which our world revolves today. What we identify as ‘philosophy’ today was once closer to our definition of ‘religion’ (and possibly ‘magic’). 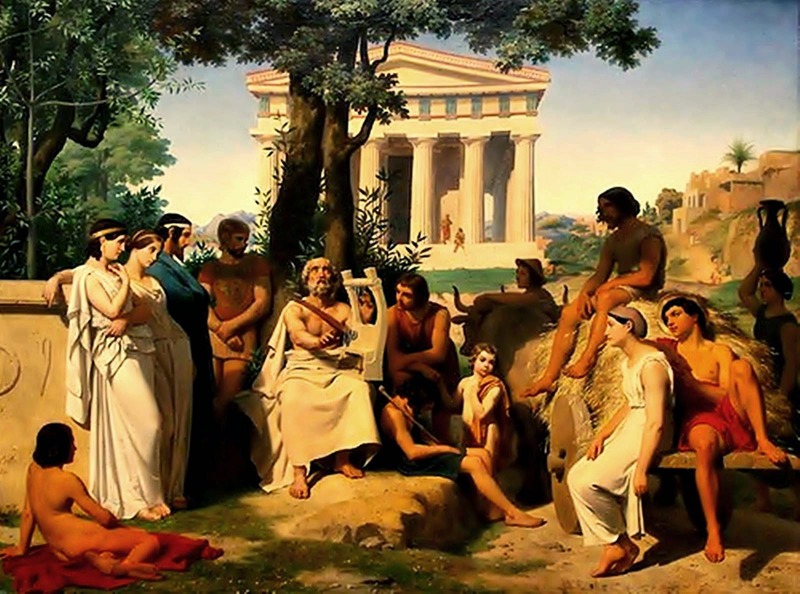 From ancient times, Philosophy was the study of existence and consciousness; of critical discussion, rational argument, and systemic presentation. In fact, originally, Philosophy was the study of any body of knowledge, to include religion; and the word ‘Metaphysics’ was once one such science, denoting the exploration of nature, being, existence, and reality. In short, these bodies of knowledge were labeled ‘heresy’ and ‘blasphemous’ by The Church, and its scientists labeled ‘pagans’ and ‘witches’. Notably, The Church’s campaign to eradicated all things not of their monotheistic credo was so successful that today, many of those who identify as ‘pagan’ think that their ‘craft’ is outside the realm of scientific inquiry. Likewise, many of those who identify as ‘pagan’ today, identify their practice using ideas created by The Church; namely, concepts derived from Old Testament law, and further codified during the Witch Trials of Early Modern Europe. Religion is an interesting word, comprised of two components: re- and -leg. In toto, the ancient Greeks defined it as ‘back to original place; place an obligation on; bond between humans and divine’. Then, per Cicero, religio is cultum deorum, or “the proper performance of rites in veneration of the gods”. Further, the idea of religion among the pre-Christian world was the individual virtue of worship; it was not a specific doctrine, not a specific practice, not a specific source of knowledge. Instead, religion among the Ancients was more an obligation to kin and kith, to neighbors (immediate surroundings; bioregion [? ]), to city and/or state, and to the divine. It was not until The Church that the definition became focused on ‘monastic vows’ with an emphasis on ‘church’. Notably, the idea of ‘religion’ was not truly set until the 17th century, prior to this, and again, the Ancients had a different understanding. By and large, the ‘idea’ of religion was that of worship, of ‘a way’ that one ‘walked’ in accord with ‘law/thew/custom’. For example, the Sanskrit word dharma means ‘law; right behavior; justice; that which is established’. The idea that religion should be codified – with a set of doctrines and beliefs – is relatively modern; again, from the 17th century, and central to Christiandom. It was during the 19th century that people began to self-identify as a religion (Christian, Muslim, Buddhist, Jew, Confucianism, Asatruer, etc); prior to this, one adhered to cultural / ancestral thew/law. The Philosopher Schleiermacher defined religion as schlechthinnige Abhängigkeitsgefühl, or the “the feeling of absolute dependence”; and the Philosopher Hegel defined it as the “Divine Spirit becoming conscious of Himself through the finite spirit”. And the Anthropologist E.B. Tylor defined it as “the belief in spiritual beings”, further stating that to include a belief in a ‘supreme being’, or ‘judgment and salvation’ would exclude many world peoples. Returning to ‘witch’ and its ‘craft’, the idea that they did ‘magic’ is one that only arose during the 14th century; again, this label and its accompanying practices were defined and expounded on by The Church. Prior to Christiandom’s influence, the ‘magic’ done by a ‘witch’ would have been a “wise” individual schooled in the sciences listed above. When I consider the difference between many of today’s practitioners of paganism, witchcraft, wicca, or seidr, I cannot help but observe how far we have fallen from the origin of these ideas and practices, observations, and study. For example, Wicca – also known as Pagan Witchcraft, Modern Paganism – is classified as a “new religious movement”, and an “eclectic reconstructed paganism”. In kind, many of its adherents consider the term ‘Nature Religion / Spirituality’ more fitting, and in that some of its adherents include ‘magic’, it is further considered a magico-religion. Any connection or relation to ancient religion or pre-Christian Metaphysics is mostly symbolic. By-and-large, many of these modern magico-religious practitioners consider their magic as either supernatural or derived from nature; and/or such magic as simply naturally occurring, and misunderstood or disregarded by modern science – even while being from the same ancient sciences, that these ideas and applications arose. When researching such matters (and this is a broad topic of exploration), any findings that run contrary to a practitioners belief are offhandedly dismissed. This is mostly due to these practices being emotion-based versus intellectual-based. Even a cursory look at the origins and applications of wicca, witchcraft, seidr, or magical paganism will render the information I present above, yet this same information is mostly cast-off as ‘not applying to me’, or demands for ‘proof’. When someone has accepted a belief it informs their identity, and when that self-created identity is threatened, individuals often respond poorly. This is often especially the case when one questions the definition of ‘magic’. In modern magico-religious/spiritual practices today, the definition of magic is mostly borrowed from Ceremonial Magic, which, in turn, is derived from various sources, such as Qabalah, Thelema, Hermeticism, Alchemy, and the Golden Dawn. Simply: ‘magic’ for most Modern Pagans is ‘the science and art of causing change to occur in conformity with will’, or ‘the science of the control of the secret forces of nature’. The Ancient Ancestors (pre-Christian), would have called this ‘philosophy’, and older still, ‘thew/law’ (ancient custom). Let me reduce this even further. Magic is the application of will, concentration, and visualization upon a ritual, mantra, galdr, charm, spell, object, to evoke the presence of the force that one desires. So that, one needs only apply an appropriate attitude (awe, respect, honor), to direct the emotional and/or mental idea, to prompt an internal attitude into an external form. Simplified further: Magic is spiritual reality manifested through human will, or, realizing the Divine Self by changing the human self. Certainly, there is nothing wrong with ‘casting spells’ or ‘drawing a circle’ or following the ‘sabbats and esbats’ (sabbath, ‘Saturday’; esbat, Old French “frolic”), but I do wonder: If the fetters of Christiandom were to be removed from Modern Paganism (in all of its manifestations), would not this Way, this Path, be better recognized? Magic and wonder easily come together to pose the fundamental life questions about how we know-what-we-know and why what-we-know matters to the fulfillment of life. Philosophy, the ‘love of knowledge’, is perspective on perspective, the means by which one’s life is conducted; the application of philosophy is how we arrive at insight and individual empowerment. Philosophy is the language that aids us in hurdling obstacles, its how we arrange the unknown and unfamiliar to a workable whole. Philosophy is the knowledge of our world and our role in the world; it is human motivation and free will, it is justice and human rights, it is the practical and timeless wisdom The Church labeled ‘witchery’ in an attempt to confound and confuses us away from our Ancient Wisdom Traditions.